What it is: An app that allows your patient to track exercises, keep a journal of exercises and watch videos with demonstrations of various swallowing exercises. iSwallow is an app that was created by U.C. Davis. 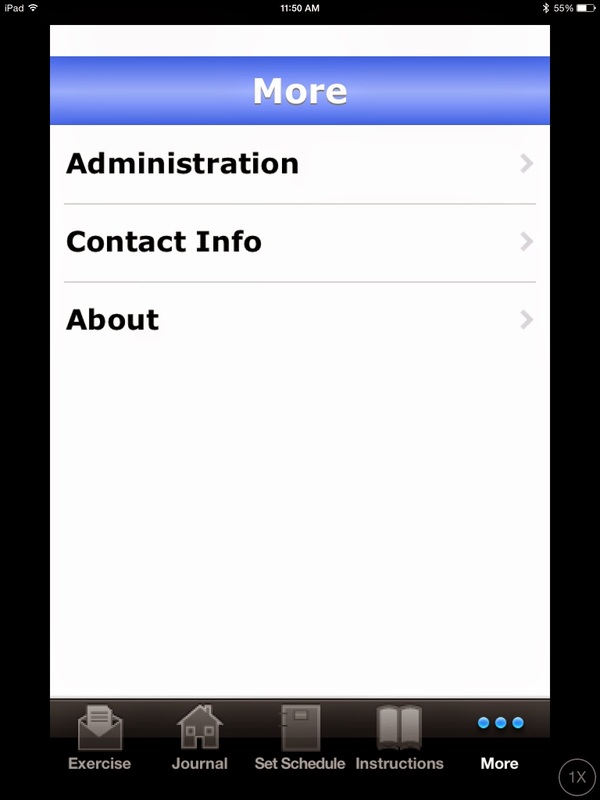 iSwallow does require a password, obtained by emailing the app creators to modify/add/delete exercises to the regimen. iSwallow contains a list of thirteen swallowing exercises, including the Mendelsohn Manuever, the Masako, tongue resistance, effortful swallow, tongue range of motion, isometric shaker, isokinetic shaker, vocal exercises (pitch glide), gum chew exercise, lollipop swallows (lick a lollipop a set number of times and then swallow), jaw thrust, tongue and throat shaping (using a bite block to “shape” for swallowing while saying various vowel sounds), swallow amplitude (using a microphone and device). Each exercise can be programmed for the particular patient including repetitions, repetitions per part of exercise and can be set according to the time of day. The patient can keep a journal of each exercise. The exercises are to be set-up by the Speech Language Pathologist and the patient will complete each exercise at home. When the regimen is complete, the patient will mark that they completed the exercise fully, partially or not at all. Each exercise, with the exception of the the tongue and throat shaping exercise has videos that can be viewed in the instructions section of the app or when completing the exercise. The tongue and throat shaping has a written explanation of the exercise. As a clinician, you can then look at the app and see if your patient has completed their exercises or not. I think this would be a great app, if your patient owned their own i device. You can download the app on the iPhone, iPod Touch or the iPad to be used at home as a home exercise program. If your patient does not have an i device, then this app could not be used for a home exercise program, unless you are willing to loan out a device. Some clinicians have stated that they use the video instruction function of the app to instruct their patients on the exercise during a therapy session. The obstacle I have seen with this, is that my patient’s prefer to have a live model. That way, they can see up close and personal what is happening and I can slow down or modify the exercise per my patient needs. Personally, I use very few of these exercises with my patients. 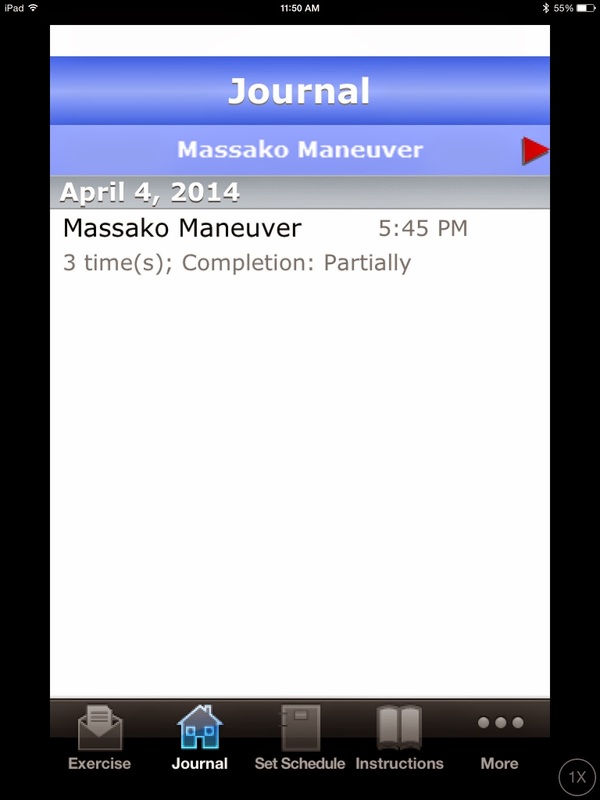 I tend to use the Masako, the Mendelsohn and the effortful swallow with patients. I often modify the Shaker and use more of a Chin Tuck Against Resistance method. I do use lingual range of motion exercises depending on the patient needs and the diagnosis. I do use lingual exercises with resistance as well, however I tend to use the method used in Dr. Robbin’s research using a tongue depressor and having the patient elevate their tongue against resistance, protrude their tongue against resistance and lateralize their tongue against resistance.